Aneurysm – localized irreversible artery dilatation >50%. 5-7% incidence population > 60 yrs. Commoner in white males - ? why. Other atherosclerotic manifestations do not have a racial predilection. Auto-immune reaction " macrophage activity – T&B lymphocytes invade arterial wall " activate proteolytic activity " degrade elastin & collagen " weaken arterial wall " aneurysm. Lowest levels of elastin & collagen in distal aorta just before bifurcation. 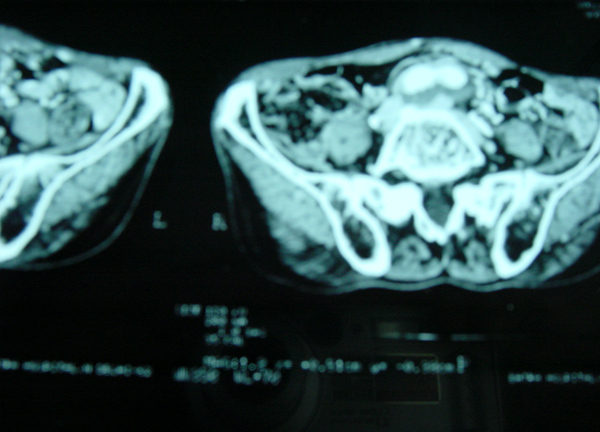 < 4 cm diameter – 10% rupture. 4-5 cm diameter – 25% rupture. > 6 cm diameter – 50% rupture in 1 year. Rupture has a 80% mortality. life expectancy – dramatically - AAA -1950 – 60 – 8.7 new AAA / 100,000 -1971 – 80 – 36.5 new AAA / 100,000. 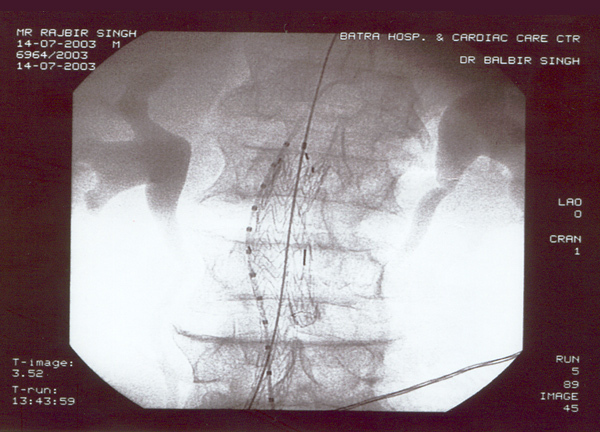 Old concept – mechanical increase in size < ballooning < thinning of wall < rupture. Protein metalloproteinase – 9 - 5 times higher levels in wall of 5-7 cm aneurysms compared to 3-5 cm - break down of collagen within the wall of the aneurysm. Confusion regarding life threatening size will end and save many lives. Back or abdo. Pain unreleaved by position. pulsatile abdomen mass left of midline between xyphoid & umbilicus – knees bent & during exhailing – 50% accuracy. What investigations do I order and why? Plain AXR - AP + Lat – calcification –eggshell appearance seen in < 50% cases –This is not the first investigation. Ultrasound - initial test – presence & size – Gas and obesity hinder proper diagnosis – can’t detect leaks, rupture, branch artery and suprarenal involvement - ideal for screening patients. Can AAA be Tt conservatively? Acute reduction in BP & pain killers. IV Beta-blockers – esmalol, labetalol, propranolol, metoprololv. Beta-blockers – maintain HR – 60-80/min. Morphine sulphate IV for pain. 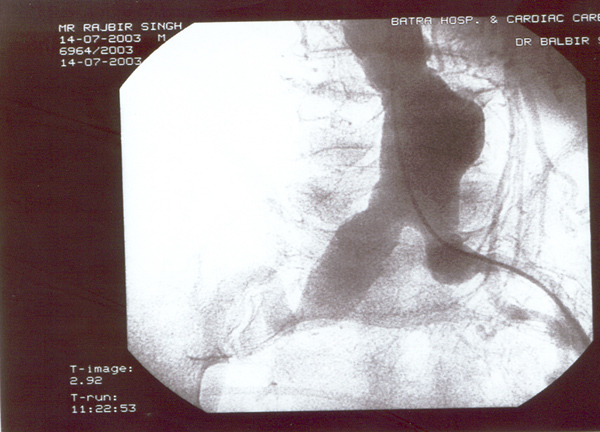 Aneurysm – rupture or suspected. 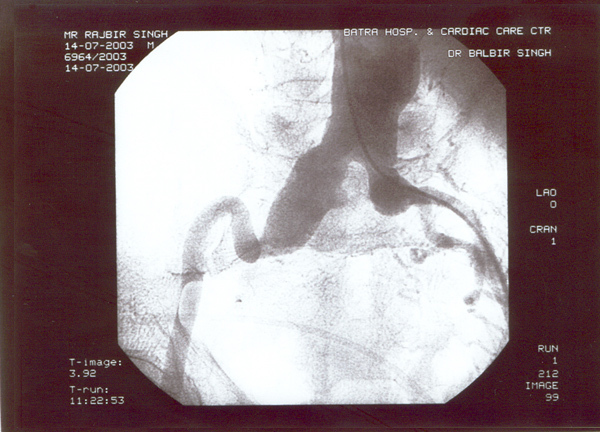 Atypical aneurysms – dissection, mycotic, seccular or inflammatory. What should I tell relatives? Pre-hospital rupture – >50% die on way. Those who reach – mortality # 1%/min. Prognosis good - not in severe shock on arrival – get immediate resuscitation & surgical intervention. Fatal MI – elective repair – 4.7%. 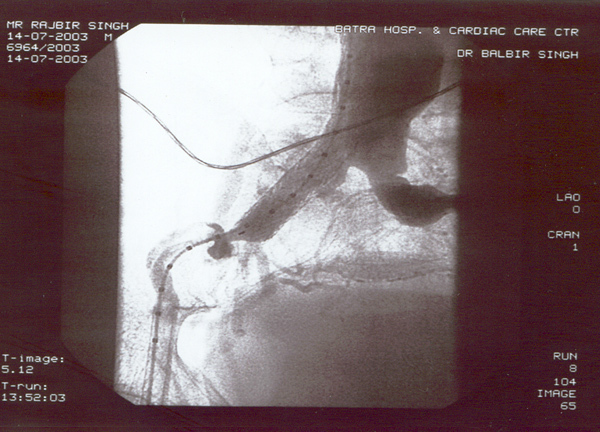 Non-fatal MI – elective repair – 16%. How safe is traditional surgery? 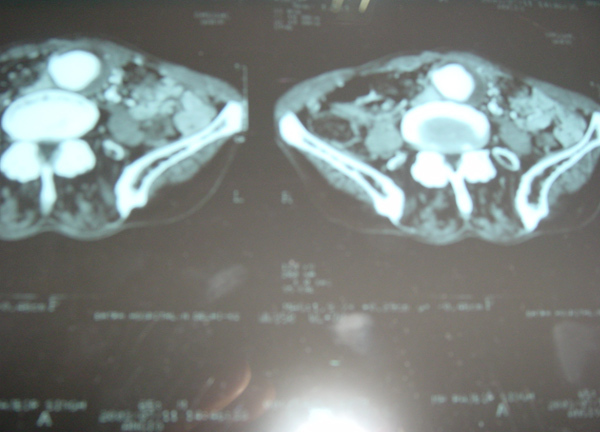 Post-op ileus, bowel obstruction, ischemic colitis. 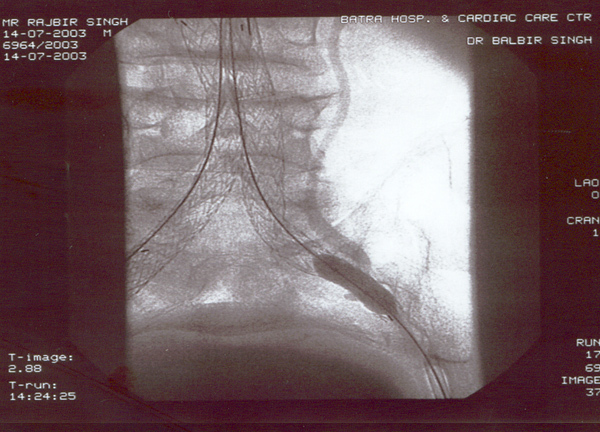 Lower limb ischemia - emboli. 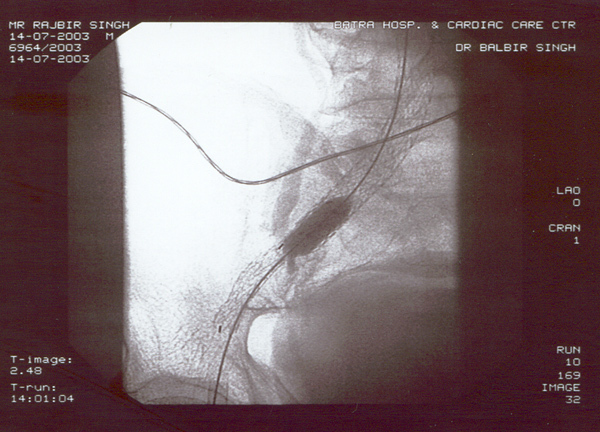 Extent of aneurysm – proximal & distal necks + extension into iliacs. Tortuosity of aorta & intramural thrombus. 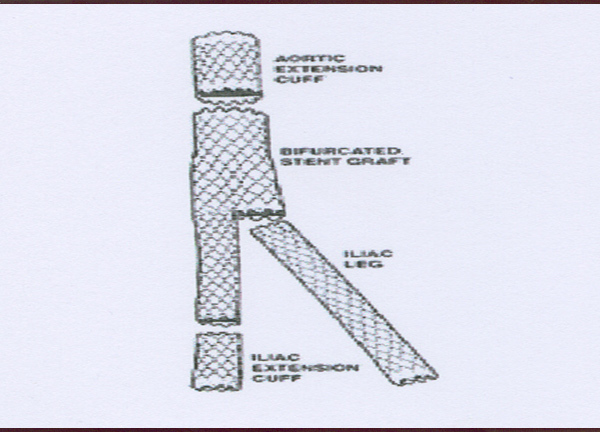 Iliac anatomy – occlusion; IIA relation to aneurysm, size & tortuousity. 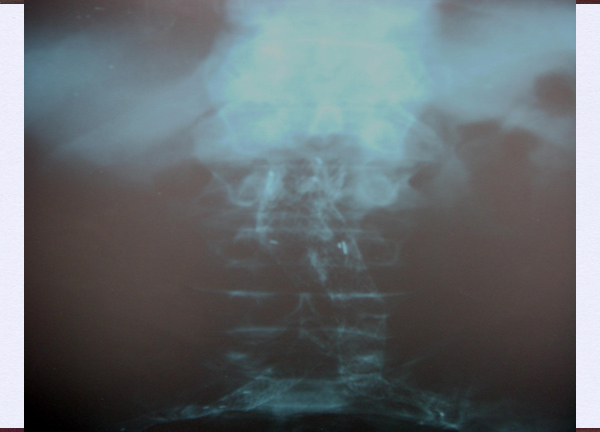 Calcification of neck and iliacs. Femorals – calcification or occlusion. 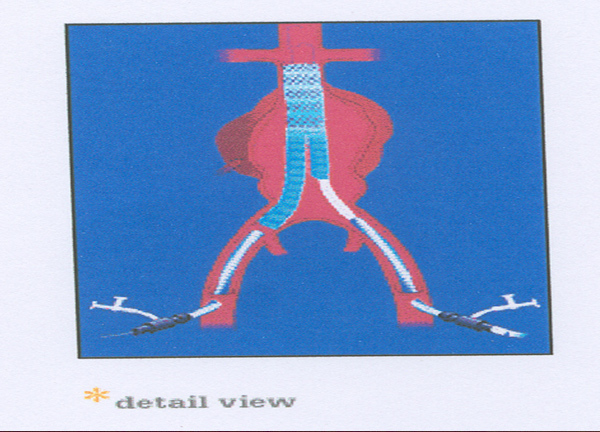 Who qualifies for endovascular grafting? > 21 years – for written consent. Radiation exposure – postmenopausal or surgically sterile women. Life expectancy > 2 years. 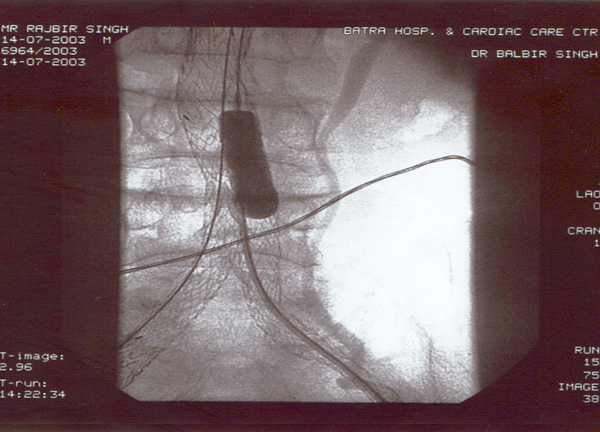 Pre-op angio – IMA not essential for intestinal perfusion. 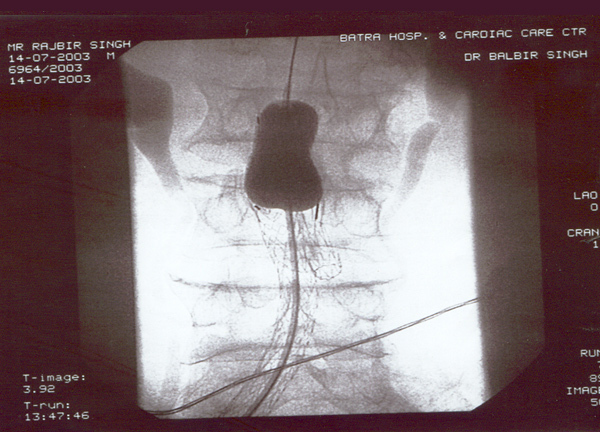 One IIA must be preserved – rectal flow. This too has a learning curve. Peri-graft leaks - 8- 44%. Graft limb thrombosis – 1–10%. 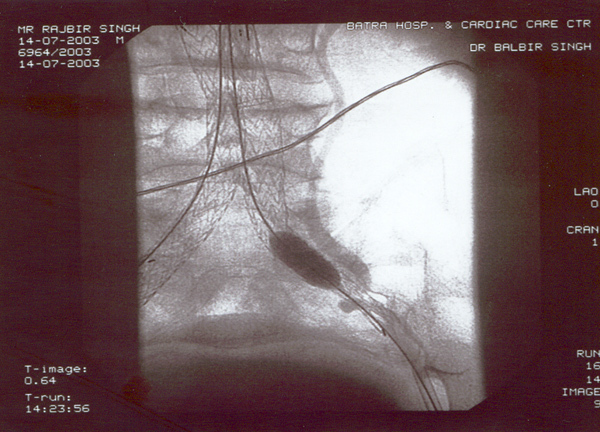 Renal artery occlusion – 6–12%. 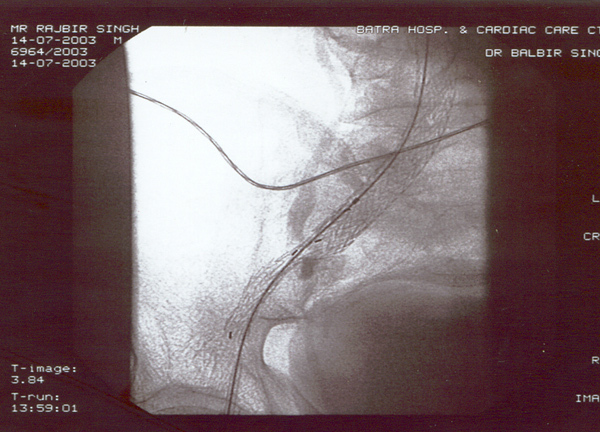 Femoral artery injury – 2-17%. Graft deployment failure - 2-12%. How good are interventionalists today? Recent study – 50 cases – 47 (94%) successful – 3 conversion to open surgery. 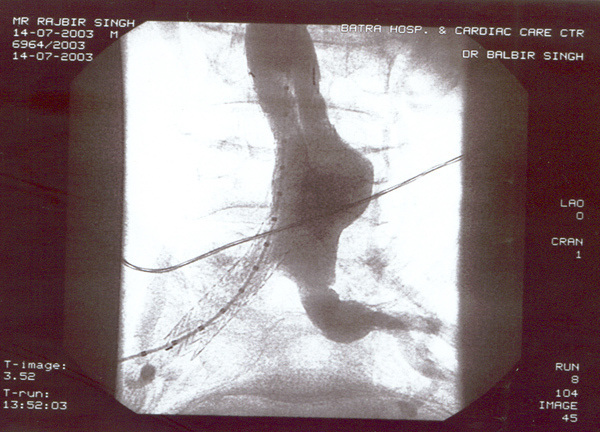 Perigrafts leaks – 33% - resolved spontaneously or coil insertion. 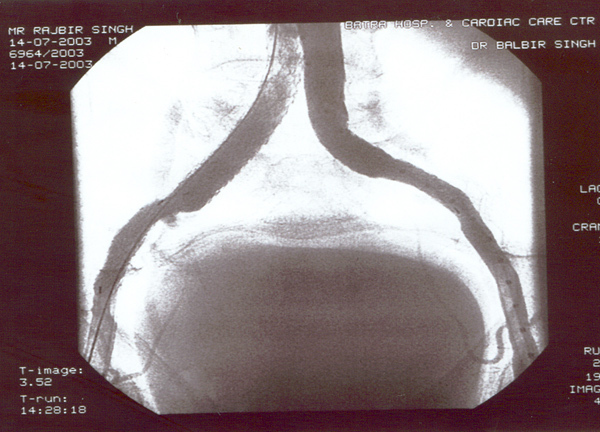 3 had graft occlusion – thrombolytic therapy successful. 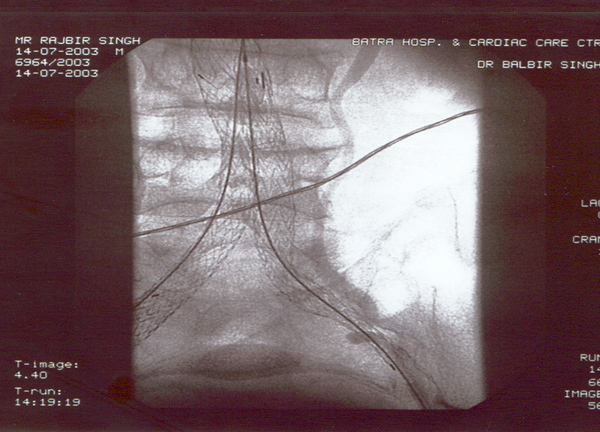 Conventional surgery – yearly with US. 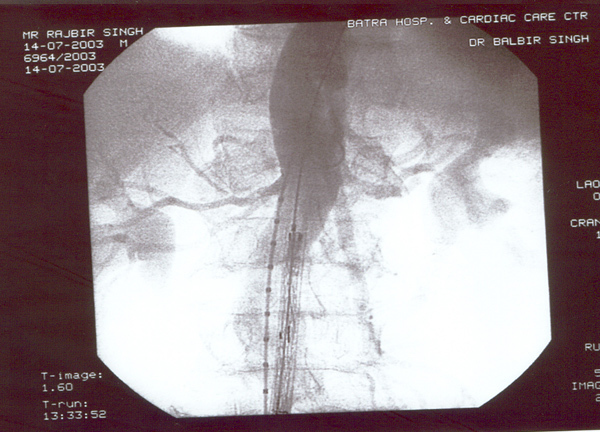 Endovascular grafting – Immediate post-op with CT 6 month after yearly. 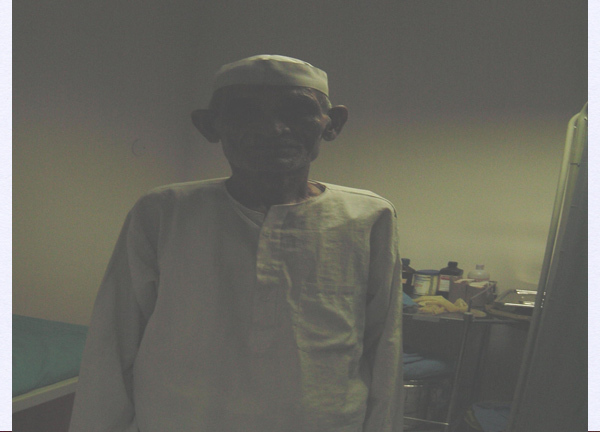 Rajbir Singh, 60 yrs male. Abdominal pain for years now worsening. 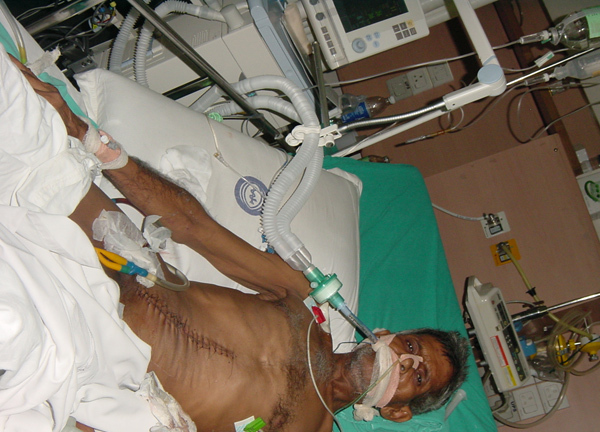 Severe COPD + PHT + CAD. 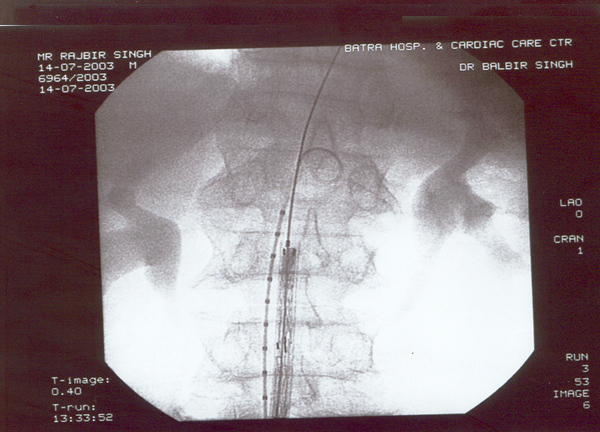 USS abdomen for abdo pain – 7cm AAA. 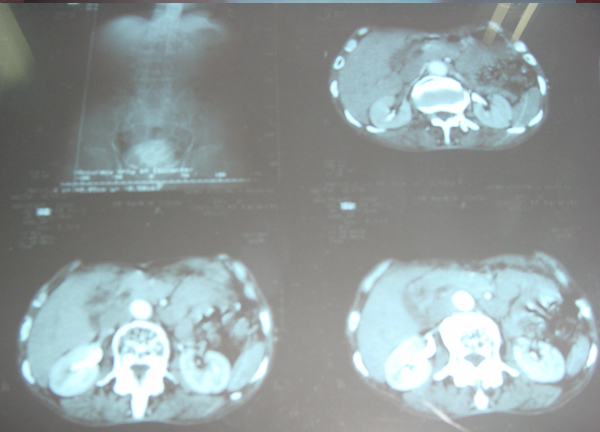 Pulsatile abdominal mass – non tender. All peripheral pulses palpable to ankles. No complications – blue toe syndrome.